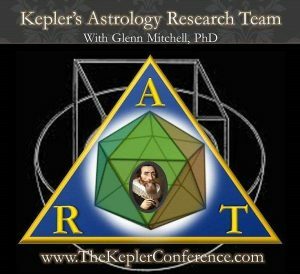 Interested in learning how to conduct astrological research? Set your agenda for the 1st and 3rd Tuesday of every month. That’s when Kepler’s Astrological Research Team (ART) meets to discuss past studies, current best practices and future projects. The series, coordinated by Courtney Roberts and facilitated by Glenn “Mitch” Mitchell, seeks to provide potential researchers with useful guidance in conducting research. In this week’s webinar, we learned that the most common error of neophyte researchers lies in mistaking astronomical significance for astrological significance. If your research involves Sun signs, you have to know that births are not evenly distributed. In northern hemispheres, more people are born in summer months, June through September. If your study involves ascendants, be aware that in the northern hemisphere the signs of long ascension, Cancer through Sagittarius, are far more common rising signs than the other six. Courtney noted some interesting studies out there to support these cautions, eg, Didier Castille’s article on France’s population and the zodiac, and encouraged us to catch up on the current literature. Mitch walked us through a very cogent explanation of control groups and why properly-designed studies demand them. Mitch is an astrologer and a statistician who can discuss methodology in plain English, for which I am grateful, because such clarity can’t be taken for granted. A key takeaway for me was when he discussed “significance.” Statistical significance is when you find a difference between control and study groups that can’t be explained by chance. Practical significance is when you find the same thing but have to ask yourself, is it big enough to really matter, and what argument can I make for its real-world significance? Mitch provided a brief overview of what’s available in astrological software that supports some robust level of research capability. There are many vendors, so over the course of this series he’s promised to discuss their features, including some live demos of what can be done with the various software. The session wound up with an expression of interest in various ongoing and future projects. If you want to learn more, tune in for the next ART webinar, which will be Tuesday October 2nd. Visit the Canaveral Research site and get on their mailing list to be advised of these and other series promoting fact-based astrology. 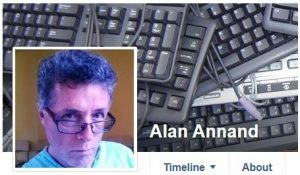 Alan Annand (BA, BSc, DFAS, ACVA-II) is a graduate of the American College of Vedic Astrology and former tutor for the British Faculty of Astrological Studies. His recent research paper “Mercury Retrograde in Disasters” was published in the American Federation of Astrologers’ Research Journal Vol.18 this past summer. You can read his article here.